Q: In the South Pacific Ocean, the Independent State of Samoa and the New Zealand territory of Tokelau, were the first to begin the New Year of 2012. A year ago, they were two of the last states to move into 2011. How can this be? A: At midnight 29 December 2011, Samoa and Tokelau reset their calendars to 31 December, thus skipping 24 hours and 30 December entirely. Since 1892, Samoa has observed its position, roughly 20km east of the International Date Line (IDL). An imaginary borderline on the surface of the Earth, at roughly 180º longitude, marks the start of each calendar day. A few days ago, Samoa realigned itself with the western side of the IDL, and moved 24 hours into the future. The main reason for this transition is linked to trade, in order to bring Samoa and Tokelau closer in time to their largest trading partners – Australia and New Zealand (BBC News, 2011; Lane, 2011). This time-space geography provides an example of the way in which temporality and spatiality are significant for contextualising, organising and positioning ourselves in the world. This is noted by Merriman (2012) in the current TIBG. However, here is another brain teaser for the ontologically minded: Merriman asks readers to reconsider normative (“delimited, constrained, located and partitioned” (p.24)) time-space geographies, in order to apprehend the world in more enlivened ways – through movement, energy and affect, for example. 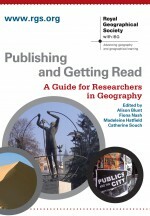 Merriman’s paper is grounded in non-representational philosophies, not to convince us that human geography should dispense with time and space, rather to focus on the ways in which theories of mobile practices may help to decentralise the privileged position of time and space in Western geographical research. As Samoa’s realignment with the IDL illustrates, even states mapped onto the earth’s surface can be apprehended as moving forms. This dynamic imagining, Merriam argues, may demonstrate openness to ‘movement-space’ rather than ‘space-time’. This entry was posted in Transactions of the Institute of British Geographers and tagged Environment and Society, International Date Line, movement-space, non-representational theory, Samoa, Time-space, ToKelau on January 3, 2012 by fionaferbrache.